A new op-ed for the Chinese paper 东方早报 (Oriental Morning Post) that I write an occasional column for. This one looks a bit at events in Syria and the growing jihadi presence and what it means. Doesn’t really focus on the Chinese lack of involvement there, but the idea is to try to explain something and its potential dangers to a Chinese audience. The published Chinese is above, with the English I submitted below. The defection of Syrian Prime Minister Riad Hijab to the rebel side is the latest in a growing number of losses that the Assad regime has suffered in the past few months. As the international community remains deadlocked in what to do about the ongoing crisis, radical forces gather strength and a proxy war being played out by others continues to get worse. Simply letting the war in Syria play itself naturally out is something with repercussions that will be hard to judge. As has been shown repeatedly before in the Arab Spring, optimistic expectations are often shattered by reality. Letting Syria tear itself apart in a sectarian struggle is something that will have longer-term repercussions across the Middle East and the world. Such strong words may illustrate Chinese anger at being repeatedly blamed for holding up any action on Syria, but they do not particularly offer a path forwards to try to resolve the current crisis. Nor do they take account of the reality already being played out on the ground. The reality is that we are slowly watching Syria become an ever more tangled mess of sectarian fighting between a Sunni majority who always resented being ruled by the minority Alawite community, the growing presence of jihadist extremists from around the world, and a growing proxy war between the Sunni Gulf states and Shia Iran. Just the sort of complicated civil war that ends up having global repercussions if it is allowed to fester indefinitely. The key to understanding the current Syrian chaos and its potential danger going forwards goes right back to the second Gulf War and the invasion of Iraq and the long-standing Sunni-Shia divide in Islam. Sunni and Shia are the two main branches of Islam: Sunni are the global majority (around 75% of the global Muslim population – including China’s Muslim minorities), while Shia are a minority (around 10-20%) who differentiate themselves from Sunni’s believing that on his death the prophet Mohammed designated his cousin Ali as the leader of Islam. Sunni’s in contrast believe Abu Bakr, Mohammed’s father-in-law, was the correct follower who took the reins of power as the head of Islam after the prophet’s death. This early split in leadership has been the foundation of most major divisions in the Muslim world since. Whilst the invasion of Iraq was positive in that it deposed one of the world’s cruelest dictators, it had the additional effect of turning Iraq into an openly Shia nation. A Shia majority country, it was always clear that the introduction of democracy to Iraq would turn the country’s leadership over to a Shia leadership with a close affinity to Iran. And the introduction of a Shia regime in Iraq meant that Shia leaders (or Shia friendly leaders like the Alawite Assad’s) now ruled a swathe of the Middle East from Iran, Iraq, Syria and Lebanon. And as the Arab Spring gathered pace this dynamic was further exacerbated in the Gulf countries. While in North Africa and Egypt, power was passed from secular authoritarian regimes to political Islamists, in the Gulf countries, mostly angry and oppressed Shia minorities or in some cases, majorities, started to rise up against the deeply Sunni kings that ruled the kingdoms. In eastern Saudi Arabia, Shia protests started to take place, and in Bahrain, where a Shia majority is ruled by a Sunni king, repeated protests have taken place led mostly by Shia’s. Yemen has faced all manner of chaos, but thus far it seems to have been saved much of an open uprising by its 40% or more Shia minority. For Sunni leaders, this is a menacing prospect. Jordanian King Abdulla II enunciated these concerns when he spoke of the danger of a ‘Shiite crescent’ across the Middle East. And there has been pushback, something we are increasingly seeing on the ground in Syria where stories of Gulf (primarily Saudi and Qatari) funding and Special Forces training supporting the mostly Sunni rebels fighting the Assad regime. Iran has not been idle. In addition to using its proxies and intelligence services globally to attack Israeli targets (and apparently plotting to kill the Saudi Ambassador to Washington), it has continued to provide support for the Assad regime. The two sides are supporting different factions in the civil war. Beyond these networks, we have also seen growing numbers of jihadists from around the world showing up in Syria. This past week a young German medical student was killed fighting in Aleppo, while a pair of foreign journalists who were held captive in Syria reported being held by a group of fanatics that included Chechens, Pakistanis, Saudis and Britons. It is worth remembering that many of the jihadist networks that were helping fighters get into Iraq during the peak of the American invasion flowed through Syria. Some of these networks have now started to turn their eyes back home, and there are stories of al Qaeda in Iraq forces re-directing into Syria. At the same time al Qaeda in Iraq is proving itself increasingly able to sow death and destruction in Iraq itself – launching a series of highly coordinated attacks in the past weeks. These jihadist networks are Sunni, and while it is likely that outside supporters are doing their best to not provide funding directly to them, it may be hard to separate such groups out from the Sunni Free Syrian Army (FSA) in the chaos of a civil war. Caught in the middle of the misery are average Syrians who now find themselves in the midst of an increasingly brutal civil war that has stretched on for almost a year and a half with no prospects of conclusion in sight. All of this is already happening. And while it does, the world is sitting by arguing about condemnation of a regime that has proven itself willing to kill its own people. The west has now started to hint that it might try to find ways of providing support for approved proxies in the country, a dangerous path that has led to problems in the past, but equally, sitting on the side letting things play themselves out is only going to let the current scenario get worse and become more bitter. The world is watching as the Middle Eastern cauldron stirs itself up, and it is only a matter of time before it spills over the side. The time has come for some responsible leadership to step forwards and find a way through the current impasse. Simply letting things play themselves out may take a long time and in period tensions will be stoked that will take decades to play themselves out with uncertain outcomes for everyone. I have been travelling somewhere where this site was blocked, so I am going to be catching up on old articles for a day or so. There are also new ones in the pipeline, but apologies if you have already seen them elsewhere. First up is a piece for Jamestown that builds on my work about the German jihad focusing on a pair of current trials in which individuals who first went out to Waziristan to link up with IMU or a different jihad group in the region with a German flavour, but ended up working with al Qaeda for various reasons. Two separate trials are currently underway in Germany that have highlighted the particular role of the Islamic Movement of Uzbekistan (IMU) as a feeder group for German jihadists who end up working alongside al-Qaeda. The first is a case in Koblenz involving Ahmad Wali Siddiqui, a German-Afghan who was captured in July 2010 by American forces at a taxi stand in Kabul (Der Speigel, February 28, 2011). The second case involves Yusuf Ocak and Maqsood Lodin, German and Austrian nationals respectively who were captured after careful detective work by German forces seeking to intercept radicals they suspected were behind videos threatening Germany (Der Spiegel, June 18, 2011; AP, June 20, 2011). The three men are all standing trial accused of ties to the highest echelons of al-Qaeda and seem to have made their connections to the group through the Islamic Movement of Uzbekistan (IMU). Their trials have cast a new light on the particular ties between Germany and the Central Asian militants. Ahmad Wali Siddiqui’s ties to militancy go back to his time in Hamburg as an Islamist on the fringes of the community in which Mohammed Atta’s September 11 cell formed around the infamous al-Quds mosque (later renamed the Taiba Mosque) (Der Spiegel, August 9, 2010; AFP, August 9, 2010). After moving to Germany as a 16-year-old in 1990, Siddiqui achieved little in life beyond failing at business before encountering Moroccan Mounir al-Motassadeq while they both worked at Hamburg airport in 1997 (AP, October 8, 2010; Der Spiegel, February 8). Al-Motassadeq was later convicted in Germany of supporting the September 11 cell. On the stand, Siddiqui denied being close to al-Motassadeq, though it was revealed that he had driven al-Motassadeq’s father some 400km to visit his son in prison and had holidayed with al-Motassadeq and their wives in Morocco in 2002 (AP, March 19). It was not until March 2009, however, that Siddiqui decided that it was time to join the fighters in Waziristan. Siddiqui joined a contingent of 11 Germans (nine men and two of their wives) that left in four separate groups starting on February 4, 2009. Along with his wife and brother, Siddiqui belonged to the second cell, which had intended to use as their guide an older member, Assadullah Muslih, an Afghan who had long been moving back and forth between Pakistan and Germany. However, Muslih seems to have disappeared soon after he took the first cell to Pakistan, leaving the aspiring jihadis to their own devices (Der Spiegel, October 18, 2010). Those that made it re-grouped in Mir Ali in Waziristan later in 2009. Here they were absorbed by the IMU, which had by this point established itself as a home for German jihadists. According to Siddiqui, the group had gone to the region to connect with al-Qaeda, but was instead re-directed to the IMU after they met a pair of German jihadists in the region. They were brought into the group’s trust and met leader Tahir Yuldashev at a wedding where they pledged allegiance to him (Der Spiegel, February 28). Things were not always so positive, however, as they found themselves largely unable to communicate with the Uzbek jihadists. According to Siddiqui’s account, a trainer at one point threatened to beat him after Siddiqui experienced a fall that aggravated an old injury and prevented him from training. The commander settled for firing a shot near his head. Siddiqui’s brother similarly got into a clash with another of the trainers and the brothers were able to broker their way out of the IMU camp after they agreed to produce a recruitment video for the group (AP, March 20). At this point, they found their way to al-Qaeda, though the group was initially suspicious of the men. As with the IMU, they seem to have been brought into the group’s trust relatively quickly and were allowed to train alongside the group using heavy weapons. In the first half of 2010 they participated in a meeting at which they met a fellow German jihadist from the Hamburg cell, Said Bahaji, an individual connected to the September 11 Hamburg group who had fled to Pakistan a week prior to 9/11. However, the most significant encounter was much later with Yunis al-Mauretani, whom Siddiqui and German jihadist Rami Makanesi state they met in mid-2010. The al-Qaeda commander arrived at a camp where the Germans were staying with stories of a plot being planned with cells in Italy, France and the UK to launch Mumbai-style assaults on European cities. Al-Mauretani was apparently eager for the Germans to return home and undertake fundraising and planning in Germany (Der Spiegel, October 11, 2010). However, the plot was soon disrupted, with Rami Makanesi handing himself over to authorities, Ahmad Wali Siddiqui being captured by U.S. forces in Kabul as he plotted his trip back to Germany and the remaining members being killed by a drone strike in late 2010. The story of Yusuf Ocak and Maqsood Lodin is different and yet similar in many ways to that of Siddiqui. Ocak and Lodin were drawn from a group of young German extremists who went to Pakistan to join the Deutsche Taliban Mujahideen (DTM), an offshoot of the Islamic Jihad Union (IJU) that formed under the tutelage of the Pakistani Taliban and the IJU in response to the growing numbers of Germans coming to fight jihad. Leaving months after Siddiqui’s Hamburg group, Yusuf Ocak was ensconced in Waziristan by September 2009 where he helped found the DTM (Deutsche Welle, January 25). By late December, 2009 he was videotaping missile attacks on U.S. bases in Afghanistan (Der Spiegel, June 19, 2011). Ocak appeared in a video where he threatened Germany with attacks, leaving an audio trail that German investigators were able to trace, leading to his capture (Austrian Times, February 2). As well as helping establish the DTM and producing videos for the group, Ocak used the internet to reach out to prospective members and recruits in Germany. Lodin, meanwhile, was an active fundraiser for the group (Handelsblatt, January 25). The DTM was a short-lived group that for a while seemed to be a new hub of German-origin terrorist networks in Afghanistan-Pakistan. However, with the April, 2010 death of their leader Ahmet Manavbasi (a former drug dealer from Lower Saxony), the group seems to have largely collapsed with Yusuf Ocak being picked up by al-Qaeda. This was around the same time that Siddiqui and Makanesi were being recruited by Yunis al-Mauretani for his European terrorist plot and the new German recruits from the old DTM would have been prime targets for recruitment as well. Ocak denies having encountered al-Mauretani, but was apparently taught to use the same encryption programs (Asrar and Camouflage) as Rami Makanesi admits to having learned in the training camps (Der Spiegel, May 9, 2011; Die Tageszeitung, January 25). More incriminating than this, however, was a series of documents found on an encrypted flash drive in Ocak’s underwear when he was captured that appear to be a series of internal al-Qaeda documents (Die Zeit, March 15). The documents are apparently a series of internal planning documents written by senior members of al-Qaeda. These include a series of reports believed to be written by British al-Qaeda member Rashid Rauf (allegedly killed by a drone strike in November, 2008). These reports appear to be post-operational assessments of the July 7, 2005 London bombings, the failed July 21, 2005 attacks on the London Underground and the 2006 “Airlines plot” to bring down around eight airliners on transatlantic routes. Ocak and Lodin left Pakistan in early 2011, travelling via Iran and Turkey to Budapest where they were apparently tasked with raising funds and establishing networks of suicide bombers that could be used in future al-Qaeda operations (Die Tageszeitung, January 25). However, both operatives were captured together with a network of Austrian recruits, some of whom were believed to have sought flight training (Der Spiegel, June 18, 2011). What is most interesting about both cases is the transfer of the German cells from the IMU and DTM to core al-Qaeda. In both cases, the German speakers seem to have first been drawn in using the IMU/DTM networks that are in themselves off-shoots of Central Asian networks, but ended up as part of the al-Qaeda network, tasked with carrying out terrorist attacks in Europe. According to Siddiqui, however, this was contrary to their original intentions: “We wanted to fly [to Pakistan] to live life according to Shari’a law and fight jihad….we didn’t want to ever return” (AP, March 20). Similarly, Ocak seems to have enjoyed fighting the United States alongside the DTM and their Central Asian associates. However, the men were easily turned from their Central Asian focus back towards the West, al-Qaeda’s priority interest. There are still a number of uncertainties surrounding these two cases. In particular, it is unclear whether the two groups interacted or were kept apart. Given their similar interactions with al-Mauretani and orders to head back to Europe to establish new networks, it seems as though they might have been part of a bigger scheme, explaining why al-Qaeda would have wanted to keep them apart. While a number of other cells have been disrupted in Germany of late, it remains unclear how many more might be out there. Nevertheless, these trials show that the interaction between Central Asian terror groups in Waziristan, their German recruits and al-Qaeda is somewhat less organized than it appears at the outset and is highly influenced by the actions of individual personalities on the ground. Far from being an organized targeting of Germany by al-Qaeda, the activities of these cells was instead an opportunistic effort that reflected the presence of numerous itinerant young Germans in Waziristan in 2009. In a pattern seen previously with the British-Pakistani connection in the lead-up to the July 7, 2005 bombings, young men fired up by parochial jihadist groups are drawn towards al-Qaeda’s globalist message prior to returning home to carry out attacks there. 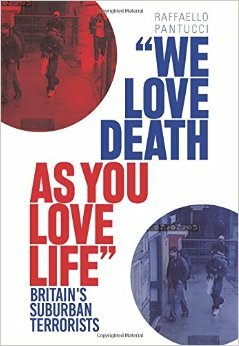 Raffaello Pantucci is an Associate Fellow at the International Center for the Study of Radicalisation (ICSR) and the author of the forthcoming We Love Death as You Love Life: Britain’s Suburban Mujahedeen (Hurst/Columbia University Press). A new post for Free Rad!cals this time exploring in some depth documents I have not managed to see first hand yet (hint, if anyone feels like sharing or has more info about them, please don’t hesitate to write!). An admittedly slightly premature piece consequently, but it gives me an opportunity to extemporise about a subject I am very interested in, namely Britain’s jihad. It also gives me an opportunity to plug my pending book that will go into a lot more detail about all of the cases named in this piece. I should add that in the original post on Free Rad!cals the link to Florian’s blog didn’t work, and I have altered it here. Over on his new blog, Abu Susu, aka Yassin Mubarash has provided a brief write-up of a series of alleged al Qaeda documents that have come to light as part of a terrorism trial in Germany, alongside a challenge for people to discuss the implications of the information if true. At around the same time or just before, another German journalist, Florian Flade, published a similar post on his site Jih@d, providing a slightly different description of the same documents. The one that has most piqued my interest are the alleged British documents that are supposed to have been written by Rashid Rauf. From the understanding I have, the papers are essentially a post-operation report on the July 7, July 21, and Overt bomb plots (Overt was the codename for the 2006 attempt by Abdulla Ali and a bunch of his mates to bring down about eight planes as they made there way to America) and German intelligence seems pretty convinced that this was written by Rashid Rauf, the infamous British-Pakistani terrorist operator. This is apparently based on the detailed knowledge of the British plots and some biographical details that are mentioned. Now I have to preface what comes next with the comment that I have not seen the documents, and so am basing my read-out on second hand analysis. But on the assumption that these are the real deal, this is fascinating as it confirms that al Qaeda in fact directed all three British plots, though to varying degrees of success. In his new book The Al Qaeda Factor, NYPD Director of Intelligence Mitchell Silber, identifies the three plots as having connections, but ends up concluding that while Overt was likely a directed plot, the 7/7 and the 21/7 plots were what he considers as “suggested/endorsed” by al Qaeda. In his assessment, there was clearly a connection, but it is uncertain that the group was directing the cells in London. To deal with the plots in order – the confirmation that al Qaeda directed the July 7, 2005 atrocity on London’s underground is not surprising. The video in which al Qaeda claimed it and included the will of leader Mohammed Siddique Khan, “Will of the Knights of the London Raid”, featured Ayman al Zawahiri, demonstrating a high level connection. Khan was also on the periphery of the large network around the Crevice group, who had connections right up to the number three in al Qaeda at the time, Abdul Hadi al Iraqi. Furthermore, as we saw during the Coroner’s Inquest into the incident, Khan was in contact with a number in Pakistan a great deal in the run-up to his attack, and a same number in Pakistan tried to call his phone after he had carried his bombing. That the connection might flow through Rauf in some way is also not that surprising: when Khan went to Pakistan in mid-2001 to train, he and his young protégé Waheed Ali, went to a Harakat-ul-Mujahedeen (HuM) training camp. When Rauf went to Pakistan after fleeing police in the wake of the murder of his uncle in Birmingham in 2002, he seems to have connected quite quickly with Jaish-e-Mohammed (JeM), a slightly different Kashmir oriented group (like HuM) that JeM’s leader Maulana Masood Azhar (a former leader in HuM) had founded after he was released from prison alongside another British jihadist Omar Saeed Sheikh (who later became famous for the murder of reporter Daniel Pearl and who also first found jihad in South Asia through HuM). HuM and JeM are parallel groups with some cross-pollination and so that Khan and Rauf’s networks intersected is unsurprising. Consequently, that Khan would have connected with Rauf on one of his later trips to Pakistan – either in 2003 when he attended a training camp with the Crevice cell, or in 2004 when he went back again expecting to die fighting in Afghanistan is not entirely surprising. It has long been believed that Rauf was involved in the July 7 plot in some way, this new information seems to confirm that. The news of a stronger connection to the July 21, 2005 attempt on London’s underground is much more surprising and interesting. In this case, we have very little solid information on the connection to al Qaeda. The belief is that Muktar Said Ibrahim may have trained with the group in late 2004 when he Mohammed Siddique Khan and Shehzad Tanweer (of the July 7 group) and Abdulla Ali (of the Overt plot) were all in Pakistan at the same time learning how to make remarkably similar bombs. Ibrahim had initially headed out with two others from his circle of friends from London’s radical community in London to Pakistan to fight in Afghanistan (the two men’s passports were allegedly found in a house of Rauf’s in Bahawalpur). A man who was later identified as a key point of contact for the Overt group and as Rashid Rauf’s key man on the ground with the Overt cell allegedly sent them to Pakistan (or at least helped them with the contacts). And finally, Muktar Said Ibrahim called numbers linked to Abdulla Ali (the leader on the ground of Overt), and some dodgy numbers in Pakistan, while his co-conspirator Yassin Omar contacted a number linked to Rangzieb Ahmed, an admitted HuM fighter who is currently in jail for being a director of al Qaeda. But it remained unclear to what degree the group had been directed by al Qaeda. Little information has been put into the public domain about Muktar Said Ibrahim’s time in Pakistan, beyond certain statements by security services that he had trained alongside the other cells, highlighting the surprising use of hydrogen peroxide in all three devices, something never seen before in the United Kingdom. Now it seems as though the group was in fact in contact with al Qaeda core, but managed to lose contact with their handler and as a result were unable to correct the crucial flaw in their devices that meant they harmlessly popped on London’s underground system. According to Abu Susu’s read-out, the group tried to reach out but was unable to contact their handler and as a result was unable to correct their mistake in mixing their devices. So the attempt failed. This raises a number of questions: first, did the July 7 and July 21 groups have the same handlers? It seems unlikely that this would be the case, if for no other reason than the different way in which they were managed. Khan was in regular contact with someone in Pakistan who was helping him along. Presumably, the same handler would have done the same thing with Ibrahim if he was the manager of the contact and losing contact would be remarkably inept and quite a contrast. It would also have been quite lax operational security to have the same person handle the contacts with two cells that otherwise were kept so firmly apart. Having said this, it would not be the first time that this was done: the New York cell led by Najibullah Zazi became known to authorities because he reached out to the same email account that a cell in northern England had used in Pakistan to discuss their plot. An account linked to this one helped uncover another linked cell in Oslo. So such mistakes have been made. But in 2004/5 al Qaeda likely had much more freedom operating and as a result would probably have had more resources to deploy in managing the cells. We already know a lot more about the final cell identified here, the Overt group were long known to have had a strong connection to al Qaeda core, and specifically Rashid Rauf. What is fascinating from the discovery of these documents is that we can now see how the contacts apparently evolved. With the July 2005 bombers, al Qaeda seems to have kept them on a relatively long leash. By the time we get to the Overt group, we have Rauf himself managing the connection, through phone calls and emails. But this was not enough, with him deciding to send a close confidant in to manage things on the ground and guarantee that things went off without a hitch. Having said that, it also seems as though this individual was in contact with other potential cells around the country, suggesting that his job was not solely to manage the Overt group. So what can be drawn from this information? Well, first of all, it is interesting the degree to which we see the groups requiring help in building their devices once back in the UK. Clearly, an inability to check with their bosses was the key flaw that stymied the 21/7 group. Khan needed a lot of handholding and it seems had faced a similar difficulty prior to his attempt, something he was able to resolve with his handler. For the Overt chaps, we can see from emails that have been released that they discussed in some detail their progress in developing a device. Secondly, it is fascinating that by the end of 2004, al Qaeda was willing to have quite high level leaders meet with Briton’s on jihadi tourism in South Asia and then trust these individuals to go back home and build cells. In all three cases, we can see how the key ‘emir’ in the UK (Khan, Ibrahim and Ali) trained with al Qaeda and then came back to the UK where they were able to assemble quite substantial cells of individuals willing to offer themselves as suicide bombers without having had direct contact themselves with al Qaeda. This is a testament to the volume of radicals around in the UK at the time, and the confidence of these cell leaders to be able to transform their wider networks in the UK into teams of suicide bombers. The wider cell around the 7/7 is somewhat unclear, the 21/7 group was large and included a number of individuals around the Finsbury Park mosque, and the Overt cell was always most worrying because of the large number of individuals who had seemingly offered themselves as suicide bombers and the six who had recorded martyrdom videos. And then there is a timing question. It is fascinating to now see that al Qaeda was indeed likely directing the three cells. They came after the Crevice group who seem to have been amongst the pathfinders in terms of building connections to al Qaeda’s broader network from the UK. But based on Mohammed Junaid Babar’s testimony and other bits in the public domain, the cell there was very eager to connect with al Qaeda core (and cell leader Omar Khyam was quite noisy about his supposed connection with Abdul Hadi al Iraqi), but it seems largely to have elected to go and do something back in the UK by themselves. Whether we can read anything into the lack of inclusion of the cell in the post-event reports is unclear, but certainly they were using a different type of device and it seems as though they found their bomb training from another source. Based on what information exists, it seems as though the Crevice lot were in fact a supply network in the first place that expressed eagerness to do something, rather than a tasked cell. What contact the group did have seems to have flowed though Salahuddin Amin who was their contact in Pakistan and whom they asked for details about how to build their device. But demonstrative maybe of how far from the core he was, Amin had to spent some days going to find the answer to the question from cell leader Omar Khyam, presumably unlike the handlers for the other British plots who were directly hardwired into al Qaeda core. So one possibility is that after the failure of the Crevice cell, al Qaeda decided to try to actually redirect some of these Brits who were showing up to more useful activities rather than let them just die in Afghanistan or go back to concoct half-baked plots. They now believed that these Brits were dedicated to the cause and were willing to trust them both with high level contacts, but also with plans that would involve them going to recruit a high number of dedicated warriors in the UK who had never trained alongside the group. The point being that maybe it took until 2004 to realise that these foreigners were trustworthy and the real thing – something confirmed by the efforts of the Crevice cell and the growing presence of increasingly senior Brits in their ranks (Rashid Rauf and Omar Saeed Sheikh being just two). There is a final point to touch upon. German authorities seem quite convinced that Rashid Rauf wrote these documents, but he has theoretically been dead for over three years now. Were these part of some electronic brain-trust of the organisation (maybe the mysterious Office of Services Abu Susu refers to? ), or is he simply not dead? Or maybe these were multi-authored documents? The common belief is that Rauf was killed by drone strike in November 2008, but no tangible evidence has ever been produced and plots with his fingerprints have emerged a number of times since then. While quite logical explanations exist for this (his contacts were passed on to someone else), you have to wonder why his name keeps showing up. What Can Be Done About Lone Wolves? A short post for HSToday about Lone Wolves, this time offering some thoughts on the countering them aspect. Some more considered and substantial thoughts on this in the pipeline. The threat from lone wolf terrorists isn’t new, but ever since Anders Behring Breivik’s successful massacre in Oslo in July, security planners’ concerns have been kicked up a gear as they realized just how grim an effective Lone Wolf attacker could be. And effectively countering them remains an elusive art. Preventing lone wolves is something that is inherently difficult. An individual who sits at home passively consuming literature they find online and then decides to construct a bomb or some other lethal device using commonly available material is very hard to detect or prevent. The usual trip-wires that are in place to catch individuals who are in communication with networks of radicals abroad are not triggered. And if these individuals are careful enough, it is perfectly possible for them to stay under the radar until they decide to carry out their act. Take for example Roshonara Choudhry, who, according to her own account, radicalized on a diet of Anwar Al Awlaki videos and tried to kill a Member of Parliament who’d voted for the Iraq War. Similarly, Arid Uka radicalized online and traveled to Frankfurt airport where he shot dead two US servicemen deploying to Afghanistan. Within the US, we’ve seen the reputed radicalization of Nidal Hassan and Abdulhakim Mujahid. Hassan was a disgruntled US Army officer who killed 13 in a shooting spree at Fort Hood, Texas. Abdulhakim Mujahid was a former convict who opened fire on a recruiting station in Little Rock, Arkansas, killing one soldier and critically wounding another. Evidence indicates both men had some level of connection to Al Qaeda networks abroad. It’s unclear whether they were commanded by the terrorist group to carry out their alleged attacks. The problem from a counterterrorist’s perspective is how do you detect and prevent radicalized individuals from engaging in jihad? If they’ve maintained good operational security, then the first time they will appear on radars will be when they carry out their plot – and that’s something that’s clearly too late for counterterrorists. Consequently, there’s been a surge of efforts by different forces globally to engage this specific threat. In the United Kingdom, the approach has been to push community actors, social workers, teachers, hospital staff and others to be alert to the potential for disaffected individuals and to set up a program called the Channel Project under which at-risk individuals can be identified and dissuaded early from taking the path they seem to be headed toward. Several hundred young people who were identified by their community have gone through the process. While this approach clearly also will snare individuals who might get involved in complex networks, the idea is to cast a net that is wide enough to identify individuals who might be operating beyond these networks. In contrast, in France, a different approach is taken. There, individuals are arrested and prosecuted on the basis of being involved in terrorist plotting. No distinction is made as to whether they are acting alone or not – the focus is on the fact that they have broken the law, an approach that is reliant on radicalized persons showing up on law enforcement radar before they carry out a terrorist attack. France moves to detain individuals on the basis of suspicion or loose contacts with extremists, and so far, this procedure seems to be working. For the United States, the approach has been to identify individuals, usually through their online activity, and then send in teams of covert agents to establish what it is the individual might be planning. When an individual proves to be a radical who seems to be working on a terrorist attack, the federal undercover agents will usually assist the individual in order to establish a documented record of a person’s actions that can be used in court. A perfect example of is the recent case of Jose Pimentel, a 27-year-old New Yorker who was arrested for building pipe bombs that he allegedly planned to use to avenge the death of his hero, Anwar al Awlaki. A quintessential computer-jihadist, Pimentel operated a website where he posted radical material and spent considerable time gathering jihadist-related materials from the Internet. Alerted to him, police put him under surveillance two years ago. Eventually, police sent in an undercover agent to ascertain just how serious Pimentel was and to help authorities catch him on video building a bomb. Currently awaiting trial, Pimentel appears to be a case of lone jihadi radicalization that has become all too familiar in the US. But while this approach has proven very effective in catching would-be terrorists, it is not at all clear whether it is something that actually is eliminating – or accelerating – the problem of lone wolf terrorism. For example, a question that cannot be answered is whether Pimentel would have continued down his path in trying to carry out a terrorist attack without the instigation of the undercover police officer. By all accounts, Pimentel was an isolated individual who alarmed other radicals with his rants and rarely left his mother’s house where he lived and was an occasional drug user. None of this, though, points to a hardened radical who would have been capable of mounting an attack like Anders Behring Breivik. However, once Pimentel had what he believed was a fellow plotter to conspire with, he moved into action. And this raises the awkward question of whether some lone wolves are actually being created by the very counterterrorist operations that are supposed to prevent them from becoming true lone wolf terrorists. The approach of identifying possible lone wolves and then persuading them that they are part of a plot might be having the effect of turning armchair observers into active radicals. Who is to say they would have progressed to the point of actually carrying out an attack if they had not had the support of the network of undercover law enforcement operatives around them? The problem of lone wolves is that it does not yet have a perfect solution. And as the problem evolves, many more strategies to try to counter them will be necessary. But the root of the problem continues to be the Al Qaeda ideology that many lone wolves claim to be followers of, and that continues to find resonance among young western Muslims. Until this ideology fades, we will continue to see the emergence of more lone jihadists. Raffaello Pantucci is London Correspondent for Homeland Security Today and an Associate Fellow at the International Center for the Study of Radicalization (ICSR). He is author of the recent report, A Typology of Lone Wolves: Preliminary Analysis of Lone Islamist Terrorists. A new journal article for Studies in Conflict and Terrorism with Peter and Ryan looking at the community of “middle managers” in al Qaeda. It got a write-up on Bloomberg that appears to have been picked up in a couple of places. Took a while to emerge, but explores some ideas and a community that we thought was a bit under-explored in the counter-terrorism research. Unfortunately, as it is a Routledge journal, it is behind a firewall and can be found here for those with access. However, I might be able to help point you in the direction of a copy if you get in touch. As I mentioned previously, I was recently in Bucharest for a session of the NATO Parliamentary Assembly. As part of this, they have published my comments online. They can now be found here. As you will see, the presentation touches upon the terrorist threat to Europe and the western alliance more broadly – it draws on a lot of points that I go into detail about here, but I also expand a bit on some of the future threats that Europe may face.